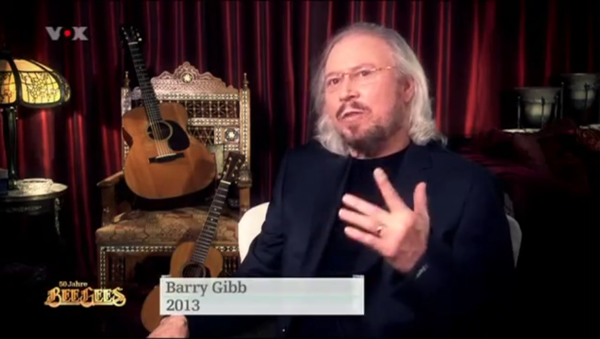 On Saturday 15th June 2013 the VOX TV network aired a comprehensive documentary about The Bee Gees and their enduring fifty year history. 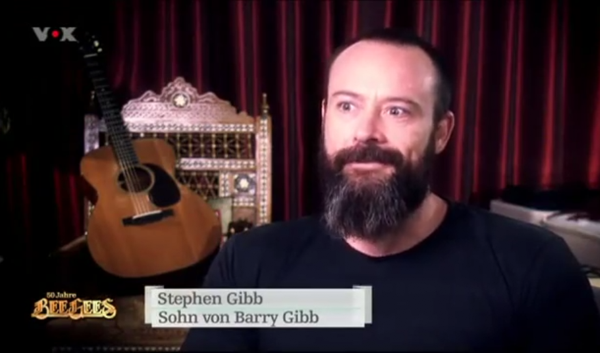 As well as interviews with Barry and various band members, the programme also included interviews with Stephen. 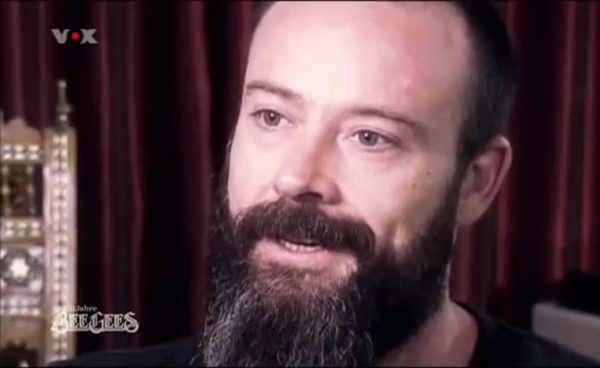 Below you will find a written transcript of Stephen's various segments, along with some screen captures. Although the programme was recorded in English, much of it was dubbed into German, we have tried our best to re-translate and capture the sentiments expressed. Barry : One million records a week was just unreal. We lost all sense of reality. Chaos, just occured. Stephen : There was some strange stuff, without a doubt. People pulling in front of the house, so maybe you thought that they would kidnap you. I was in situations with him where fans would want to get close to him, they would like trample you. To see your parents grabbed away from you by fans, it was a troubling experience. Barry : When one of us had an idea, the others would take it up and make it work. It was kind of a telepathic connection. We instinctly knew what the others wanted. Stephen : It really didn't take much words for them to communicate, it was very telepathic between them. Blue Weaver : Yeah, telepathic communication, that's true. They could read each other perfectly, each one of them knew what the other was going to do. Narrator : When Maurice Gibb died, the Bee Gees also died. Stephen : The chemistry between the three with their strong points and weaknesses was really what created all these beautiful songs. I think if you removed one of the three, the magic didn't work anymore, you had to have the three of them. Stephen : I am very proud of the fact that my dad did his part. When so many tragedies occur, it's been hard for him to enjoy the success because he's worked very hard to get to where he is at, for a very long time. Barry : In all the fifty years, we had great moments, mixed with difficult moments. Like in anyone's life. Stephen : I really just would like to see him feel real happy with everything up to this point.